*** British campaign medals from 1903 onwards for sale. Updated 10 February 2019. 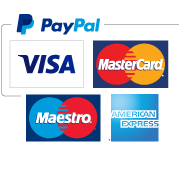 Click here to send your payment. If you don't have a paypal account email me and I will send you an invoice. Benjamin Patterson Kerr - died of wounds 13 November 1914, commemorated on the Menin Gate, Ieper, Belgium. Kerr arrived on the Western Front on 31-10-1914. An early and scarce cavalry casualty. MIC incorrectly gives the year as 1917. Kerr is commemorated on the Walthamstow Memorial - along with his two brothers; a tragic tale of the First World War. Medals come with lovely original long lengths of silk ribbon. 45534 A SJT F Hacking S. Wales Bord. One of about 80 to the regiment, a rare medal. Also entitled to British War Medal - sole entitlement for World War 1. MIC and medal rolls confirms entitlement. Ex DNW December 2012 "official correction to number and first part of rank" - this is very slight. Slight scratches to right of King's head, otherwise very good condition. Bar is believed to be genuine. To France & Flanders 13-08-1914. DoW 23-04-1915 commemorated Menin Gate. Sjt A. Mech: S. Mjr M-201712 F Cowdrey R.A.S.C. Entitled to 1914 Star bar trio. MSM for France - London Gazette 03-06-1919. Died in India 11-07-1921 - on CWGC number M/14055. MIC states "Decd" - deceased.